Cherry Mobile Flare J1 Has A New Variant, Now With Marshmallow OS Priced At 1999 Pesos! 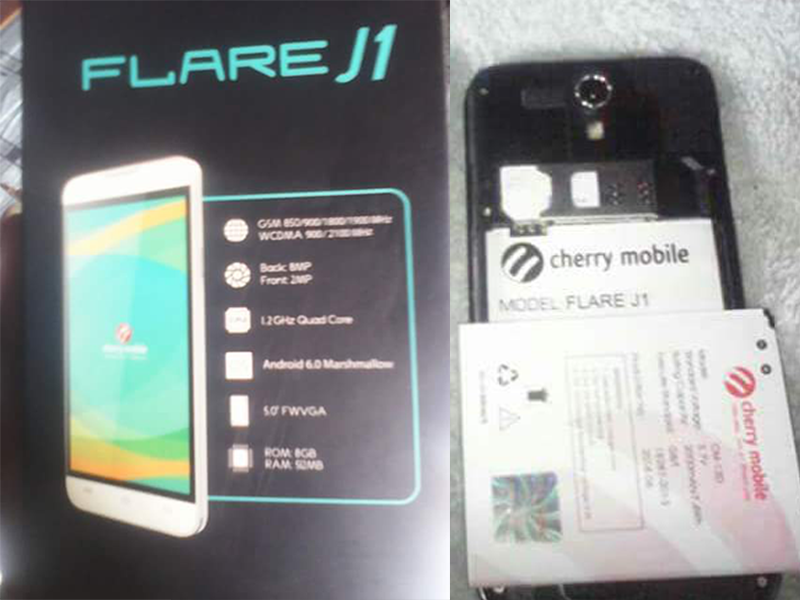 Home / cherry mobile / mobile / news / Cherry Mobile Flare J1 Has A New Variant, Now With Marshmallow OS Priced At 1999 Pesos! Cherry Mobile's tops selling J1 silently gets updated! Based on recent reports, the budget friendly Cherry Mobile Flare J1 now runs with the newer Android 6.0 Marshmallow OS that should make its performance smoother. The rest of the specs remains the same. It still boast a 5 inch FWVGA screen, 1.2 GHz SC7731 quad core chip, 512 MB RAM, 8 GB expandable storage, and 2,000 mAh battery. Here's the catch, coming from a non-removable battery, it is now removable which could be a treat for most. The new Cherry Mobile Flare J1 is price at just 1,999 Pesos! Thanks for the tip DC Dean Christian Napala Sumcio!